Paragon™ Track Start Plus+™ STS starting platform offers an adjustable side-to-side backplate providing infinite positioning/comfort on full-width of platform. 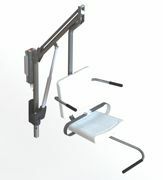 Modular concept enhances swimmer performance allowing for unimpeded rear access and can be easily removed for storage. When set to any position, the Adjustable Backplate meets the FINA required minimum of 0.5-by-0.5-meter of starting platform top area. Adjustable to new or existing Quickset/Paraflyte and Competitor style platforms. The TireFlip 180 is a new functional training device that gives you the benefits of tire training in a safe, space-saving design. The design involves a half tire that flips over a sturdy base. TireFlip 180 comes in two models: regular and XL. Add additional free-weight resistance so users of all abilities are sure to get a great workout. With training ranges of 90 to 250 pounds, there is no need to have multiple size tires in your facility. Start twisting and create your own unique climbing structure out of endless options and possibilities. With its helical shape, the Twist adapts to any landscape. Different arches can be combined in many angles, no matter if your climbing sculpture is 15 feet or 1,500 feet long. The net is made out of original Berliner U-Rope and provides continuous climbing fun. With Twist, you're always on the right side. The new Motion Trek BP 400 will give design firms an ideal option in lift capability that meets the needs for the majority of public pools and government recreational facilities. It offers a completely redesigned rotation system, which gives the user more control and comfortable movement from the deck to the water. Its 400-pound operating capacity also features an upgrade mast, and the improved housing near the base of the lift has been designed to shield internal components from corrosion. Precor and Mad Dogg Athletics Inc. have partnered to create an all-new line of Spinner® indoor cycling bikes. The three new bikes, Spinner® Rally™, Spinner® Shift™ and Spinner® Ride™, combine Spinning's category-leading products and education with the superior craftsmanship, engineering and customer service that has made Precor an industry leader for more than three decades. Together, Precor and Mad Dogg Athletics have enhanced the Spinning experience to add instant recognition to an operator's indoor cycling offerings and give exercisers an engaging fitness experience. Curtis Industries LLC announced the release of its cab heater for the Kawasaki Mule Pro Series. 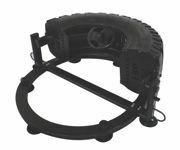 The Curtis heater is specifically designed for the Kawasaki Pro Series, both gas and diesel models. The two-speed fan generates up to 20,000 BTUs of heat. The heater provides maximum comfort and visibility for occupants. Two adjustable swivel louvers on top of the dash clear the windshield up to 30 percent faster than the factory heater. Two adjustable floor outlets distribute heat evenly throughout the cab.